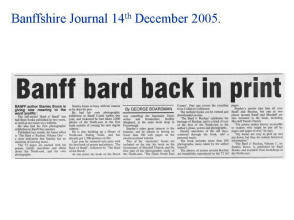 2009 Homecoming Poetry and Painting Competition | Listen to some of his poems here! Stan to get his book published! Do I vote yes or no? If I decide vote no. And I’m going to vote yes! Can that debt ever be met? Ye need yer heid biled! Would let debt rise this way? 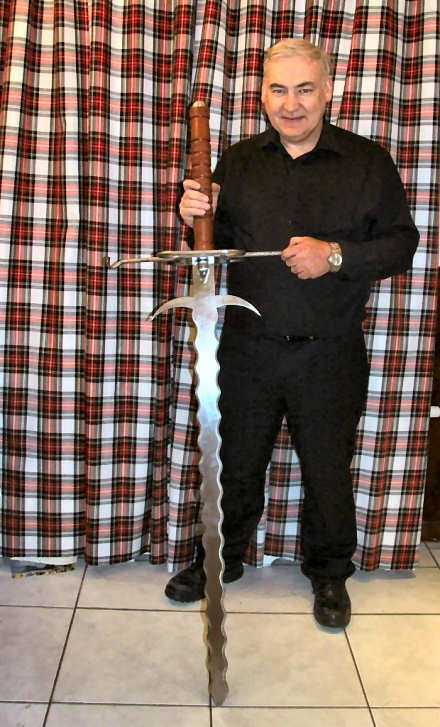 Use yer heid an’ Vote YES! 5% interest pa on £1.4 Trillion = £70 Billion pa. That’s £70Billion that could be spent making the country better if we didn’t have this debt. I’m voting YES at the poll. Is simply mark an ‘X’ wi’ a pen. 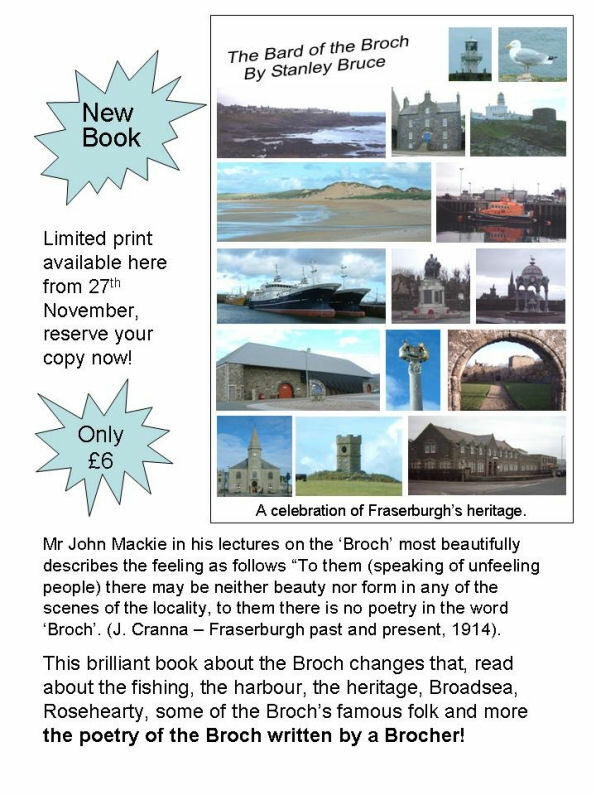 The first print run of a poetry anthology celebrating Fraserburgh life has sold out in less than a month. 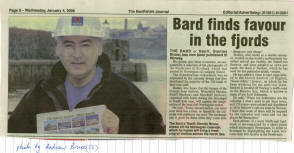 Surveyor, Stanley Bruce, has seen all 260 copies of his latest work, The Bard o' The Broch, snapped up in double quick time. He has now arranged with his printer for a second run to meet the demand. 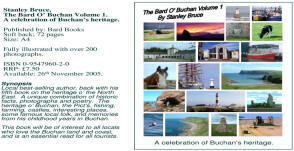 Mr Bruce has been amazed at the popularity of the volume which contains around 100 poems covering the fishing industry, local buildings, well known people and his own memories of growing up in the Broch. In the first week of December, it was the best-selling local title at John Trail's bookshop in Fraserburgh. 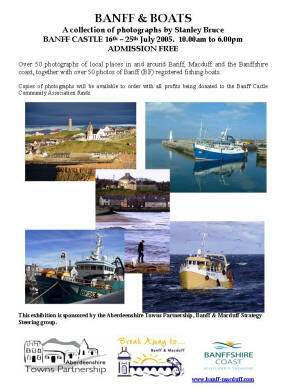 The next run will be printed in early January. 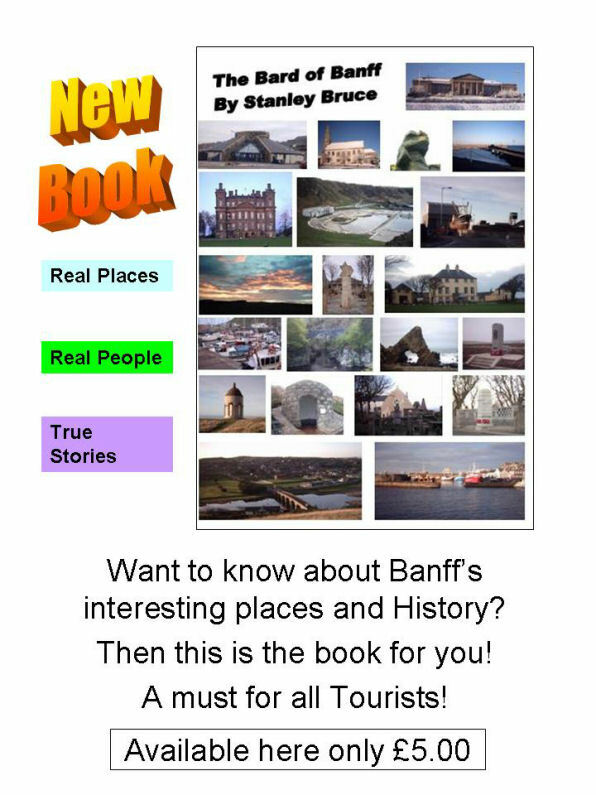 Mr Bruce, who stays in Banff, produced another book of poems earlier this year focusing on his adopted town. Entitled The Bard of Banff, it was printed in June and has now sold around 300 copies. 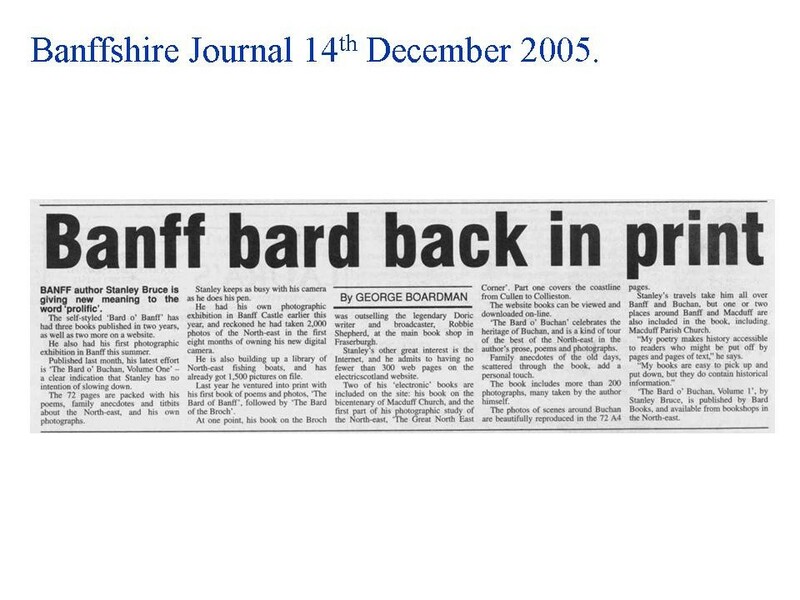 At the same time, he was compiling material for the Fraserburgh volume. 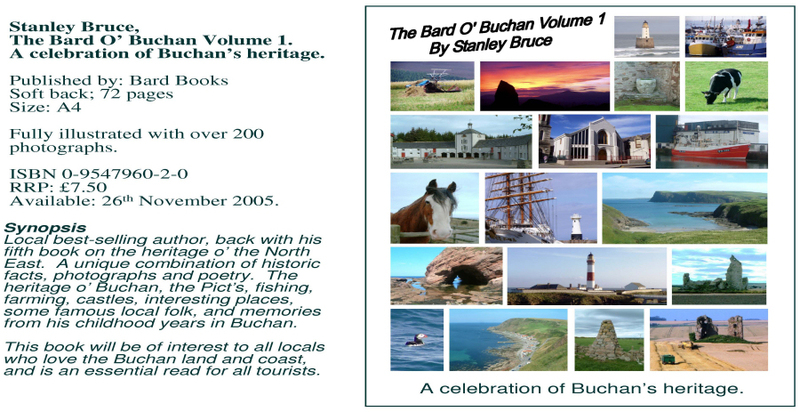 The Bard o' The Broch is priced £6 and is illustrated with photographs and drawings done mainly by Mr Bruce himself. The picture shows an old binder and a stook which is like a tent made from the sheaves. Binders which were first pulled by a horse then by a tractor were replaced by combined harvesters. 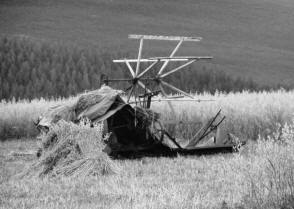 My Grandfather and uncle used to farm this way but I haven't seen this for about 30 years.